Warn others of your location with an ECCO switchable volume back-up alarm. ECCO was the first to introduce a self-adjusting back-up alarm. This alarm constantly measures ambient noise and adjusts its sound level. This creates a volume that is safe without contributing to noise pollution. ECCO warning alarms are the perfect solution to prevent accidents in the work place. ECCO switchable volume back-up alarms feature a 2 bolt mounting system, making it a quick and easy installation. 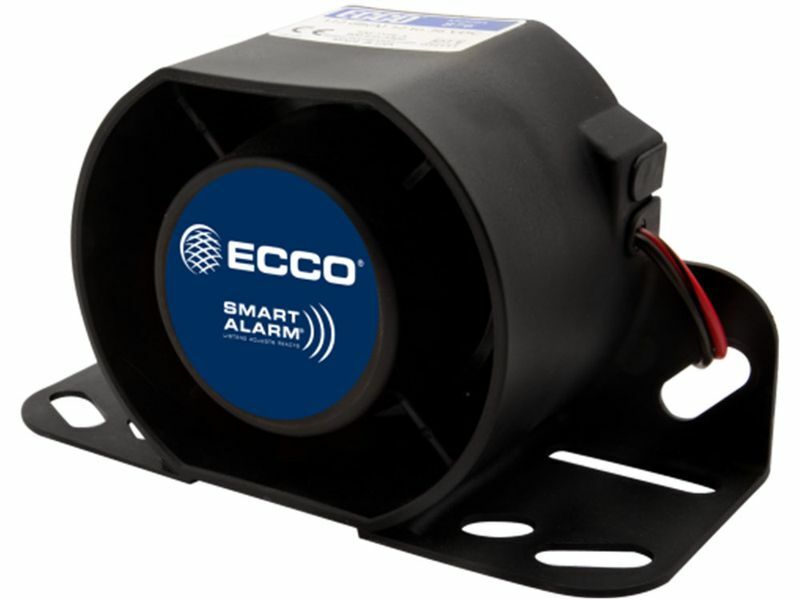 Avoid unwanted accidents and equip your work vehicles and equipment with an ECCO warning alarm. ECCO switchable volume back-up alarms are backed by a limited 2 year warranty. ECCO switchable volume back-up alarms feature an easy 2 bolt mounting system.